Lumiad is the WiFi specialist of the Netherland providing wireless internet access to Schiphol Airport. Case Provide high quality guest wireless access for Lumiad customers. 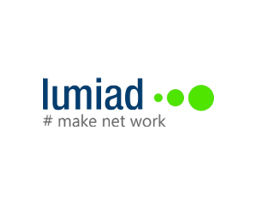 Objective Become an integral part of Lumiad wireless access offering. Result Today more than 1000 visitors connect to the internet through the Gatekeeper platform, providing Lumiad’s customers branded guest access, and a powerful tool for marketing analytics and customer interaction.